The keelson, waterline chines and one 45' chine are now glued in place. Things have been a bit slow over the past couple of weeks. Frames 6 thru 10 are on the strongback. 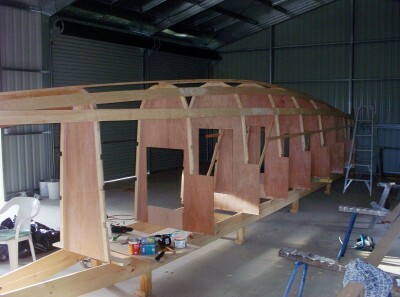 The stem and first part of the keelson are ready to be glued in place.